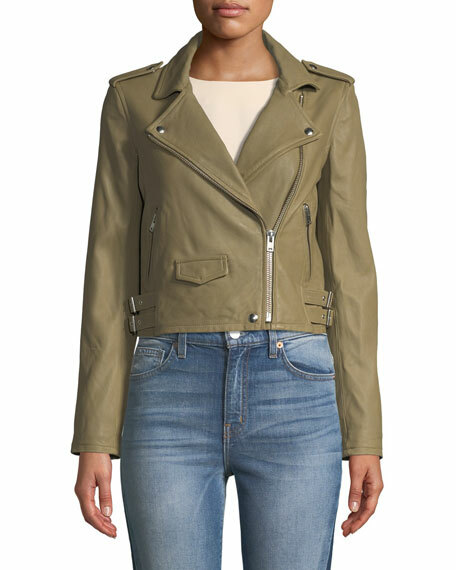 IRO "Ashville" jacket in lambskin leather. Approx. 18"L down center back. Notched collar; asymmetric front zip. Long sleeves with epaulettes; zip cuffs. Snap flap pocket on right. For in-store inquiries, use sku #294772.